Established in 1926 by architect Martin Roche, and administered by the AIA Chicago Foundation, the Martin Roche Travel Scholarship gives a student the opportunity to independently study architecture abroad. Past awards have been granted to students who have studied diverse subjects such as the transformation of brownfield sites in Germany; the relationship between design and crime in Medellin, Colombia; and modernist religious architecture in Italy. The AIA Chicago Foundation awards a winning grant of $6000 to a student enrolled in an NAAB accredited architecture program at the University of Illinois at Chicago, the Illinois Institute of Technology or the School of the Art Institute of Chicago. Click here for the 2019 submission guidelines. Preview winning proposals from that past three years. Janina Sanchez; Ecuador. Devon Morris; Myanmar. Ruta Misiunas; Lithuania. Melis will travel to Istanbull, Turkey to study how architecture plays a role in the social and political dynamics of small and large communities, using the neighborhood of Sulukule as a case study. Ruta will travel to Lithuania to document the shelters people designed and built on their own government provided properties during the era of Communism. Now the structures are endangered of being demolished and Ruta will work to document these buildings before they have dissappear from the collective landscape. Devon traveled to Yangon, Myanmar, where the city's discarded architectural heritage and displaced population have collided. He studied and documented the informal dwellings that have begun to occupy the interiors of these historic buildings. Political Urbanism: An urban catalogue of "Good Living"
The Republic of Ecuador after years of unstable, temporary governments, most of which were overthrown by the people, is now experiencing one of the longest and deepest political movements in the past 30 years. This Revolución Ciudadana (Citizen’s Revolution) as the local authorities call the movement, has deeply reshaped the urban landscape of the country. The master plan for the movement: El Plan del Buen Vivir (The Plan for Good Living) has massively increased the government investment in different development and social projects all across the country. Visiting a total of 10 strategic government projects and travelling 1,500 miles within the country, an inventory of these urban conditions has been crafted. The lessons of these ambitious interventions are collected in this “Catalogue of the Good Living”. 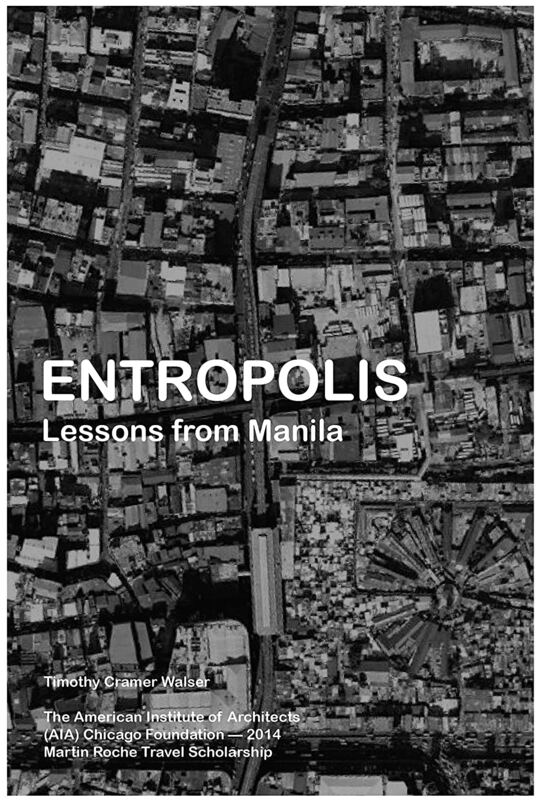 Entropolis seeks to uncover hidden architectural lessons generated by Manila, the world's most densely populated city, which is the capital and second largest city of the Philippines. Learn more by visiting the Entropolis website. 2013 Roche Scholarship Winner Taylor Holloway from AIA Chicago on Vimeo. Design Better / Design Forward was conceived as an investigation of the built work of a loose confederation of emerging architects and activists in sub-Saharan Africa; self-described group of “socio-technical designers” and “researchers in action.” Their work consists of collective urban-spatial strategizing by means of critical engagement, experimentation, and grit. Learn more by visiting the Design Better/Design Forward website. Read Holloway's full report here. The study focuses on the living conditions of migrant workers within cities whose populations have ballooned over the past 50 years, or are on the brink of rapid development. Chicago Architect Magazine - March/April 2013 from AIA Chicago on Vimeo. Read Dudek's article in Chicago Architect here. The primary focus of the study revolves around the relationship between architecture and the excellence in education in Finland. The majority of the travel was based in Helsinki, Finland, which has the reputation of having the "best schools in the world." Learn more by visiting the Room to Grow website. Read McKenzie's full report here. The grant funded a research trip to Germany to study technical textiles in Stuttgart, Munich, and Cologne to examine projects with new fabrication techniques for creating openings in multi-layer facades. 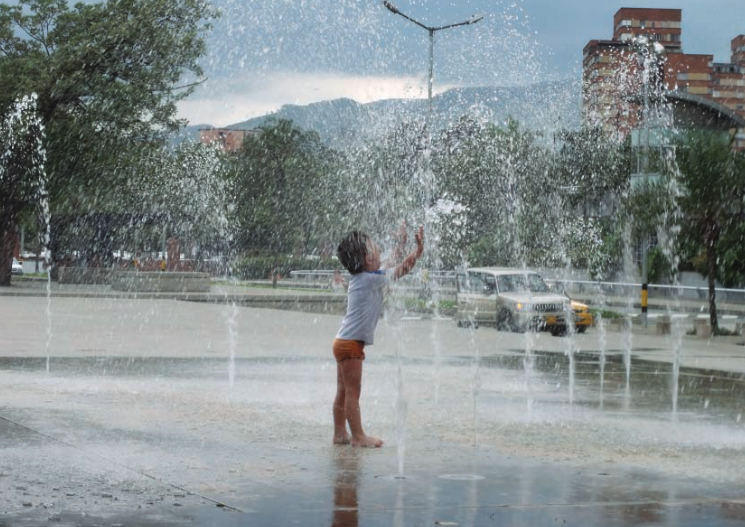 The research focused on the newly built public spaces in Columbia and studied how each project has become an instigator of change, breaking down previous existing physical and social barriers that have pervaded over the past 30 years. Read Bellamy's article for Landscape here. Visit the Public Spaces website. Cady traveled to Germany's Ruhrgebiet documenting architectural and landscape design strategies that have driven the region's incredible post-industrial comeback. Read Chintis' design guide here.